Born on May 11, 1999, Sabrina Carpenter is an American teen actress and singer who earned initial recognition after participating in the singing competition “The Next Miley Cyrus Project” run by singer Miley Cyrus. She began her professional acting career through a guest appearance in television series Law & Order: SVU during 2011 and later gained wider recognition through her recurring role in TV series The Goodwin Games. Since then, Sabrina Carpenter has gone on to appear in a number of more films and TV shows including Noobz, Horns, Further Adventures in Babysitting, Sofia the First and Girl Meets World. Along with acting, Sabrina has also made a name for herself in the music industry by releasing a couple of singles along with an EP named Can’t Blame a Girl for Trying. 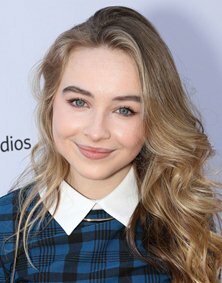 Sabrina started her professional acting career in 2011. Some of her favorite singers are Carrie Underwood, Lorde, Christina Aguilera and Taylor Swift. Her elder sister Sarah Carpenter is also an actress. I actually have the same birthday.